Malcolm followed these notes, Create a group & choose group settings and they worked. I am not sure if the notes below are useful or not. Start by adding Groups for Business to your Google Apps. This will allow you to add the Public Access Level to a group. If you want emails to go to a group of people e.g. to send info@ emails to everyone in the company, then create a group alias. 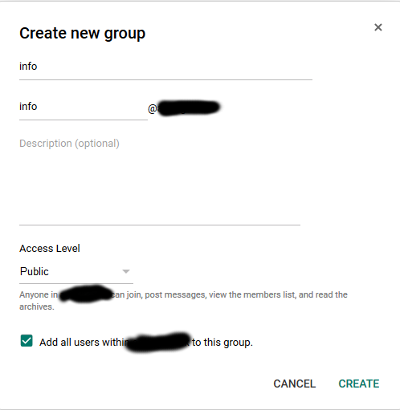 Creating a group does not add another user to the account, so will not cost any more.